We were so happy to receive this photo from our readers that took advantage of our promo code for the amazing Daniel Wellington Watches. So glad that you love them and that you are enjoying them every day! You can still get 15% discount with the promo code thegaragestarlets of your dream Daniel Wellington watch! You can choose from two different type of straps! The first is the Nato strap and the leather strap. They both come in different colours and sizes! And between rose gold or silver plated brace! Go and pick yours and don’t forget to use your promo code thegaragestarlets which gives you 15% discount! You can find the Daniel Wellington watches HERE. 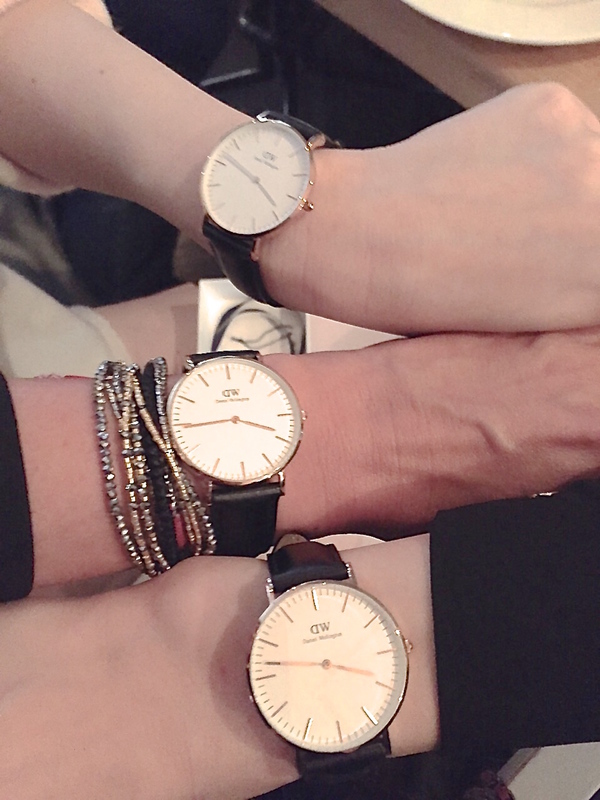 And send us your Daniel Wellington Watch photo for a chance to be featured on our site! We will be waiting! The watches look so classy! I am following you on Bloglovin, would you like to follow me back so we can stay in touch? Very cool discount! Thanks for sharing! These D.W. watches are always so chic! 15% off should be stunning!! Very classic watch design, beautiful! Thank you so much, girls for your promotion code I’ve used it already and I’m very very grateful to you! Will You Wear Your Apple?